Pricing shown is for the spray gun and PCL 10 B3 Suction container 1L. 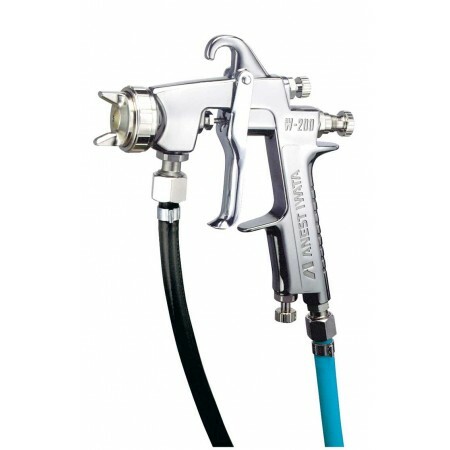 The Anest Iwata W200 pressure spray gun is light and handy. It has been especially designed for industrial production spray painting and has a flat and thin spray pattern. It has been finished to a high standard and has a twilight chrome body finish.